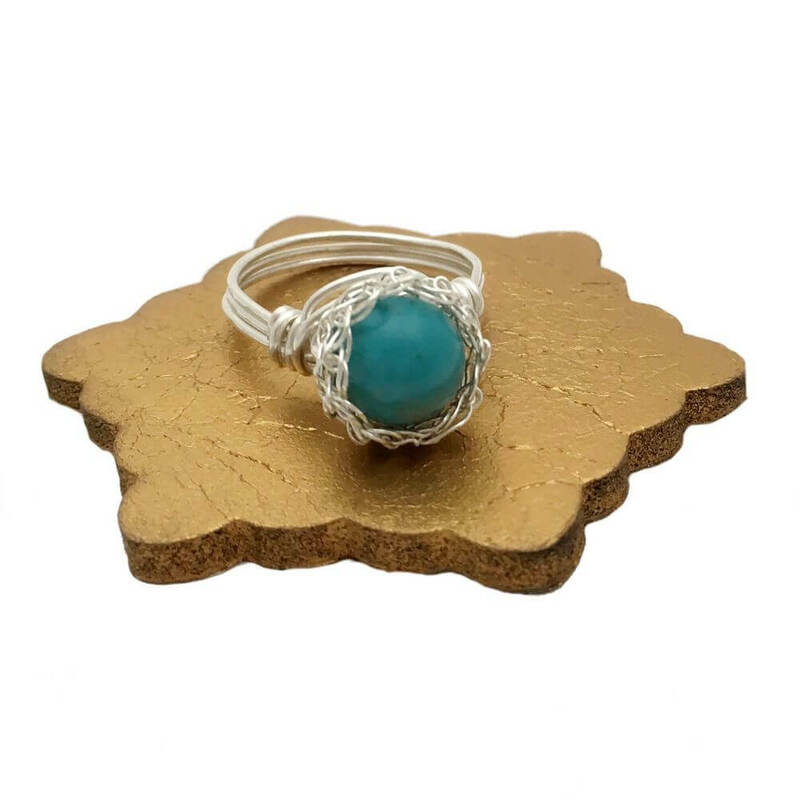 Stunning Sterling Silver cuff with a vibrant Turquoise stone at its centre to catch the eye. 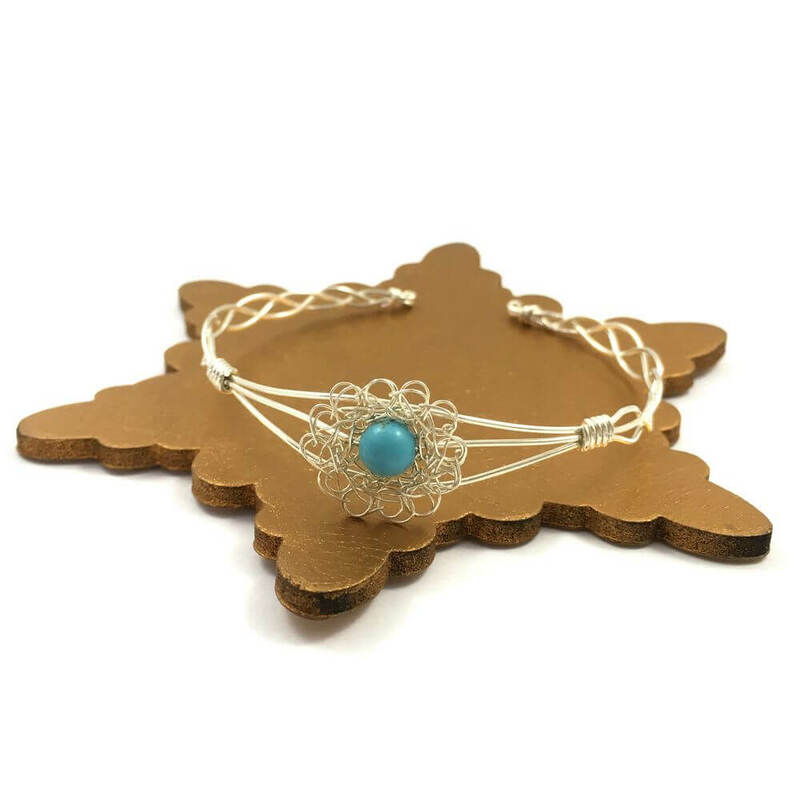 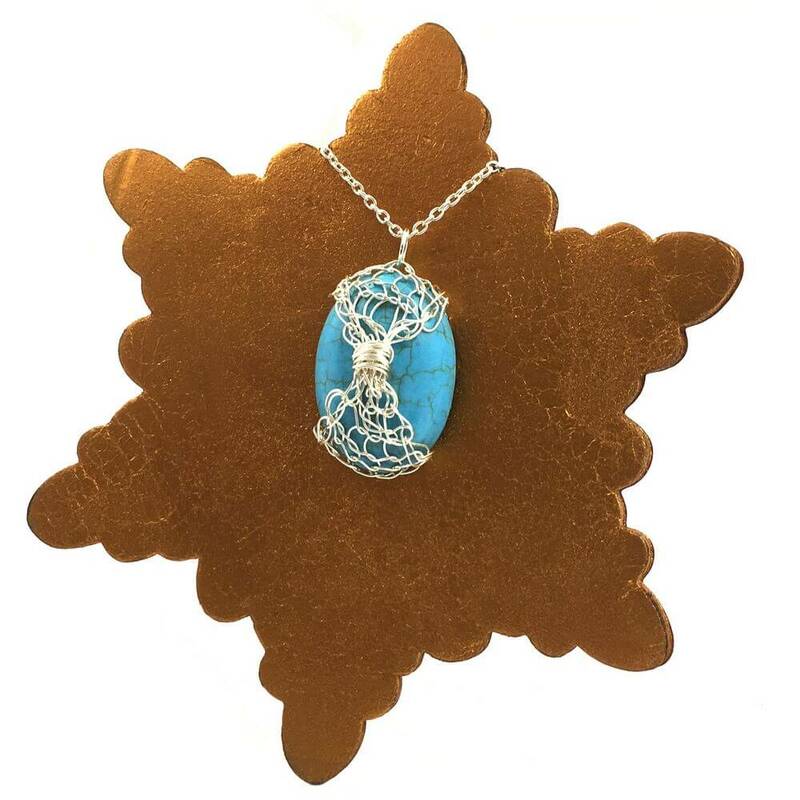 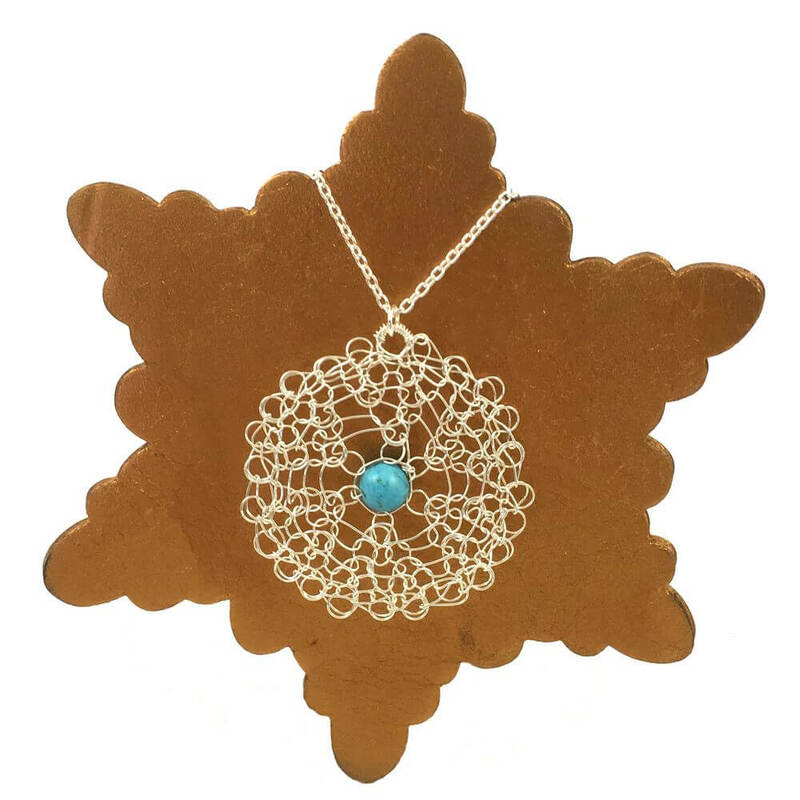 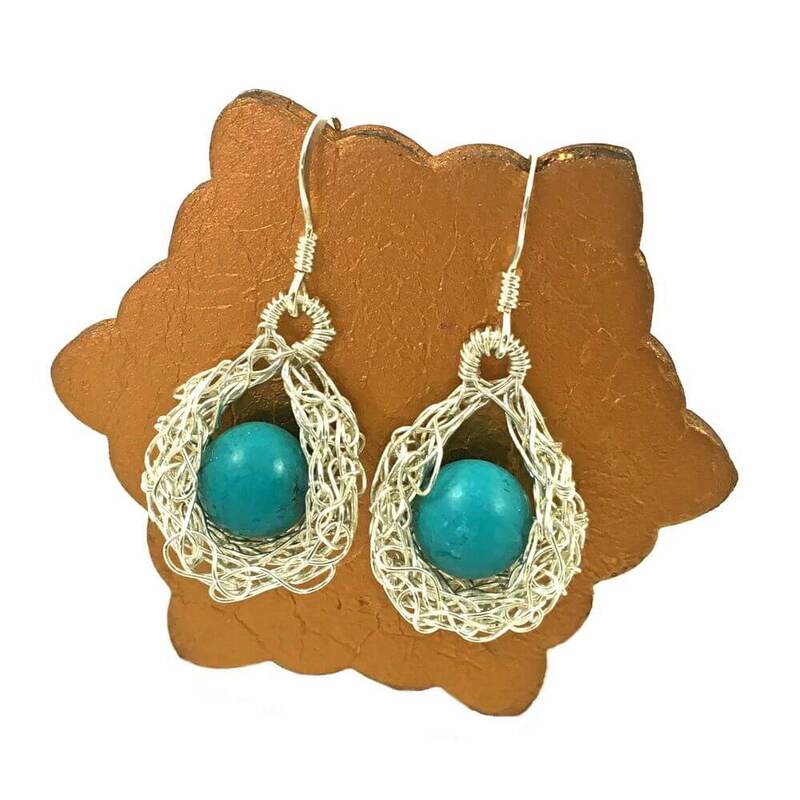 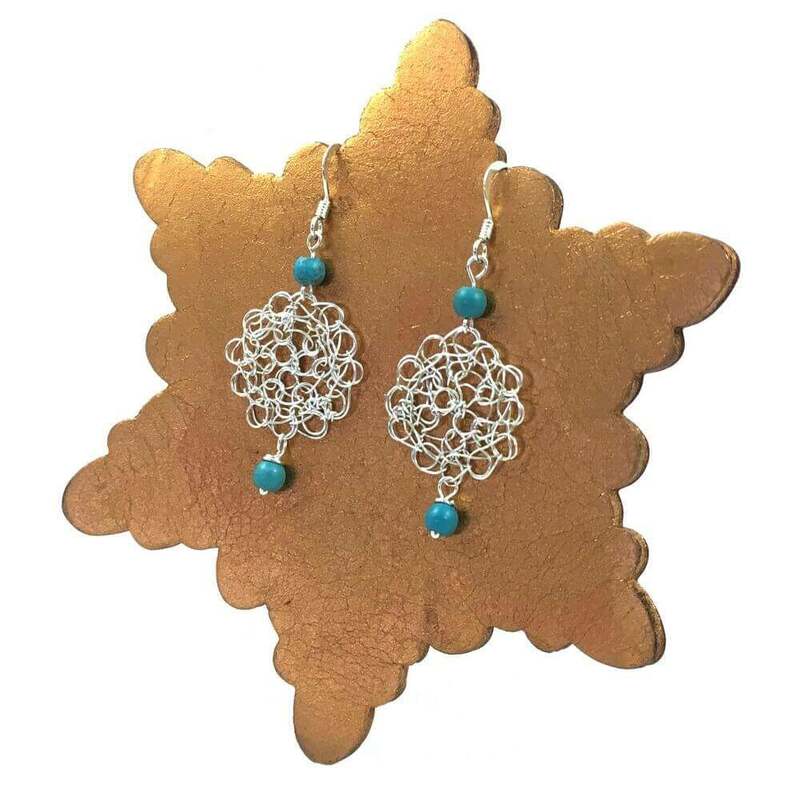 Combining different wire work techniques to create the intricate work around the stone, and then the woven section around the wrist the Turquoise Breeze Cuff is a delightfully unique piece of jewellery.. 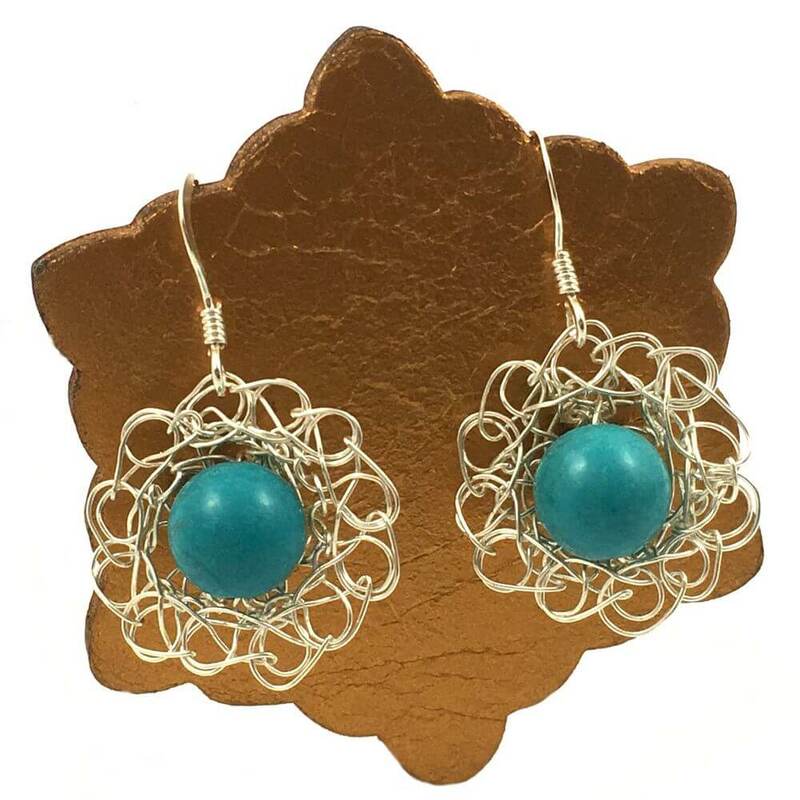 The Turquoise Breeze Cuff is 7 inches / 18cm in total length which includes the space to slide wrist through, there is some flexibility built into the design to enable a comfortable fit and ease of putting on The size will fit most women, however if someone has very small or larger wrists, it can be made to measure.